Here is one of the euphonium's most fearsome yet lyrical challenges, the Euphonium Concerto by Derek Bourgeois, commissioned and first performed by Wendy Picton. 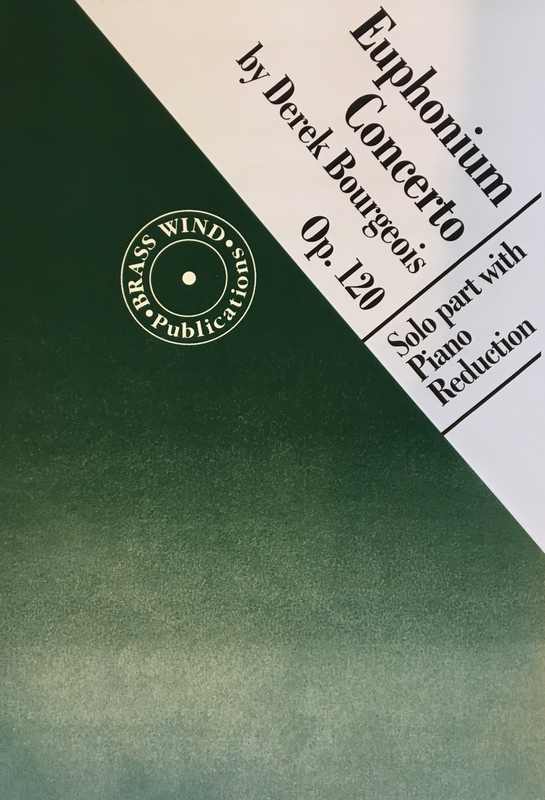 Derek Bourgeois composed his Euphonium Concerto in the spring of 1990. It is a straightforward tuneful work in three contrasted movements. The first movement is in regular sonata form with a lively first subject that has a strong rhythmic character. The second subject is lyrical and wistful. The development is mainly concerned with material derived from the opening subject. The movement concludes with a jaunty coda. The second movement again has two main themes. The first is slow and melancholy with a marching bass line. The second is more overtly melodic with lush accompanying harmonies. The finale is brief, highly rhythmical, and in three sections. There is some complex time juggling in the outer portions, though the character of the music is light hearted. The central episode is more lyrical, with a close affinity to the second subject of the first movement. The whole piece makes great virtuosic demands on the soloist, who for much of the time plays in a high tessitura. It calls for tremendous agility, yet also requires musicianship and shaping in its more reflective moments. A version for Euphonium and Brass Band is available from the composer. 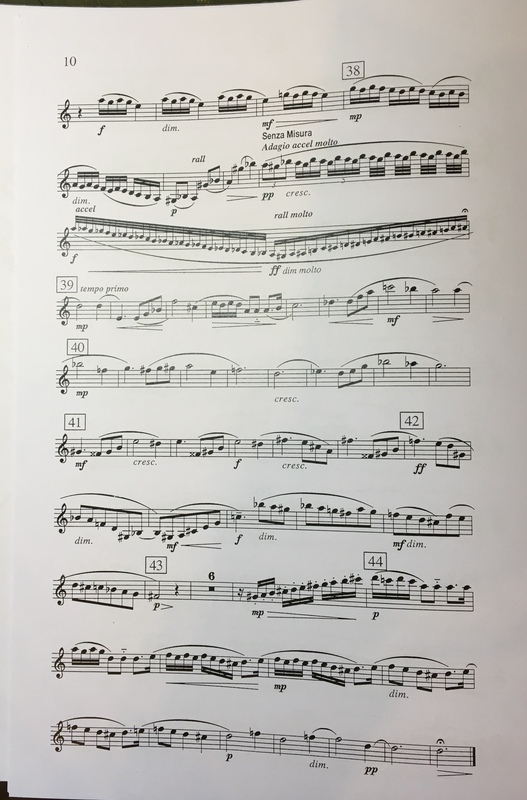 A magnificent concerto and a monumental challenge for the advanced soloist. Supplied with: solo parts in TC and BC and piano score. Derek Bourgeois was born in Kingston on Thames in 1941. He graduated from Cambridge University with a first class honours degree in music, and a subsequent Doctorate. He spent two years at the Royal College of Music where he studied composition with Herbert Howells and conducting with Sir Adrian Boult. He has composed seventeen symphonies, twelve concertos, several other extended orchestral works, seven major works for chorus and orchestra, two operas and a musical. As well as a considerable quantity of chamber, vocal and instrumental music, he has composed twelve extended works for Brass Band and five symphonies for Symphonic Wind Orchestra. He has also written a considerable amount of music for television productions. He has written four works specifically about Mallorca: Symphony No 8 - "The Mountains of Mallorca", Symphony No 16 - "Songs of Mallorca", which is a setting for Soprano and Orchestra of four Poems by Miquel Costa I Llobera. A Symphonic Suite in four movements for Wind Band called simply "Mallorca", and a piece called "Felanitx Fantasy" for the Felanitx Band, of which he conductor elect. From 1970 to 1984 he was a Lecturer in Music at Bristol University. 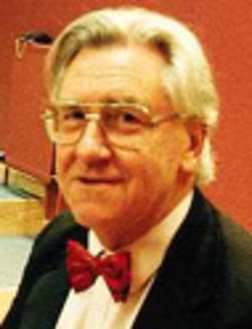 He was the conductor of the Sun Life Band from 1980 until 1983, and during the same period was Chairman of the Composers' Guild of Great Britain, and a member of the Music Advisory Panel of the Arts Council. In September 1984 he gave up his university post to become the Musical Director of the National Youth Orchestra of Great Britain. In 1988 he founded the National Youth Chamber Orchestra of Great Britain which held its first course in the Summer of 1989. In 1990 he was appointed Artistic Director of the Bristol Philharmonic Orchestra. He left the National Youth Orchestra in August 1993 to become the Director of Music of St Paul's Girls' School in London. He retired to Mallorca in July 2002 where he now lives as a full-time composer. Derek Bourgeois died in September 2017.